Colorado State University Professor Joel Berger chases winter, year-round. Unlike the surfers in the 1966 movie, "The Endless Summer," he isn't in pursuit of the perfect wave around the world. He's tracking disappearing species in remote and often icy locations. This past July and August, he was in search of the huemul, Chile's national mammal, at the Patagonia ice fields between Chile and Argentina. Next spring, his research will take him back to the Arctic Yukon in Alaska, where he'll continue his studies of muskoxen, the Arctic's largest land mammal. For his last field work, he spent one day in a plane, then two days driving on a dirt road over the Andes, and another day in a boat before arriving at Patagonia's ice fields, where he and a team of researchers hoped to catch a glimpse of the huemul, the rarest deer in either the Americas. "Ninety-nine percent of their range is gone," said Berger, a professor in the CSU Department of Fish, Wildlife and Conservation Biology who is also a senior scientist with the Wildlife Conservation Society. He and his research team are trying to understand how, or what, is causing the decline of the huemul. Some theories they're exploring is that the medium-sized deer have been killed by dogs or by diseases transmitted by cattle. Habitat fragmentation is an issue, too. The scientists are working across four different study sites that stretch from the Pacific Ocean, where there is more than 30 feet of rain a year, to the east side of the Andes. Berger said he spotted a few deer last year in Patagonia. "This year we got lucky and found a bunch," he said, with a smile. Huemul resemble a mix of a kangaroo and a mountain goat in a deer's body. There are about 2,000 of these animals left in the world, far less than the estimated 25,000 polar bears in existence. "The world knows polar bears," Berger said. "And the world knows Patagonia, but they don't know the national mammal of Chile." Berger's research includes studying the effects of climate change on mammals that live in extremely cold places. In a study published in Nature Scientific Reports in January 2018, he detailed previously unknown effects of rain-on-snow events, winter precipitation and ice tidal surges on muskoxen. Among the findings, the scientist found that the warming climate is stressing mothers and their young. Rain-on-snow events and unusually dry conditions in the winter — when muskoxen gestate — have also led to underdeveloped skeletal growth in juveniles. He and his team documented a one-time extreme ice event that led to a sobering discovery: the death of dozens of muskoxen. In February 2011, an historically high tidal surge resulted in at least 52 animals drowning and being entombed in ice at the northern coast of Bering Land Bridge National Preserve peninsula. "There's so much despair with climate change, and there should be," he said. Even so, Berger added that there are positive stories from the field, including findings in Alaska and Canada, where wildlife at the edges of ice fields and other northern realms are on the rise. There are more cougars, elk and deer in parts of the southern Yukon, he noted, and cougars have been spotted in Alaska. "Of course, there are challenges, but it's not unilaterally a doom and a gloom," he said. Berger counts the sighting of the huemul in southern South America — on the largest sub-polar ice fields in the southern hemisphere — as a bright spot. The Chilean and Argentine governments are investing in conservation efforts, to do what they can to protect the deer. 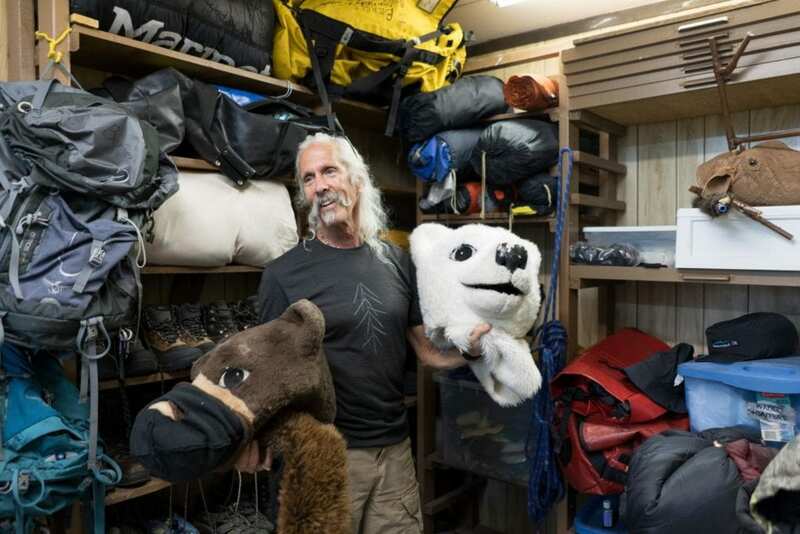 Berger documented his journeys around the globe in his recent book, Extreme Conservation, which was published in August by The University of Chicago Press. It is not his first; he has authored six other conservation-related titles. But this one has garnered the most rave reviews and accolades. Science writer David Quammen compared Berger to the likes of Jane Goodall, who began studying wild chimpanzees in Tanzania at the age of 26, and George Schaller, a German-born American conservationist and author who is recognized as the world's preeminent field biologist. "Field biology is a tough, lonely profession requiring patience and grit and smarts, and if you add conservation concerns (which you must), a deep steady heart," Quammen said. "Extreme Conservation is a must-read for all conservation biologists and for all people who care about the state of our magnificent planet and how numerous and diverse animal species and their homes are being ravaged 'in the name of humans,'" wrote Marc Bekoff, professor emeritus of ecology and evolutionary biology at the University of Colorado Boulder. "Berger is one of the most productive, traveled, and influential scientists of our time." In the New York Review of Books, Tim Flannery described Berger as "a hero of biology who deserves the highest honors that science can bestow." Berger said, with a laugh and display of modesty, that the reason behind the book's popularity is that it's got a pithy title. There's charisma that's associated with field work," he explained. "So much of science is modeling, and the models are essential to look ahead and to see where we've been. But people are passionate about animals, and animals in the wild and keeping them there." He also continues to embrace his role as an advocate for lesser-known species. "There are a lot of voices for elephants, lions, tigers and whales, and they deserve it," he said. "The public can relate. But there are a lot of other silent species that don't have the same visibility and the same voice, but yet have lots of challenges. They certainly don't have the kind of financial backing so that we can raise the bar on their conservation. Well, we should!"